Investing is many things but at its core it is about finding quality companies at good prices that will then proceed to deliver market beating returns. Sounds easy, but how do we identify that elusive quality? Keith McLachlan is a small cap fund manager at AlphaWealth and the DNA of his fund is quality above all else. 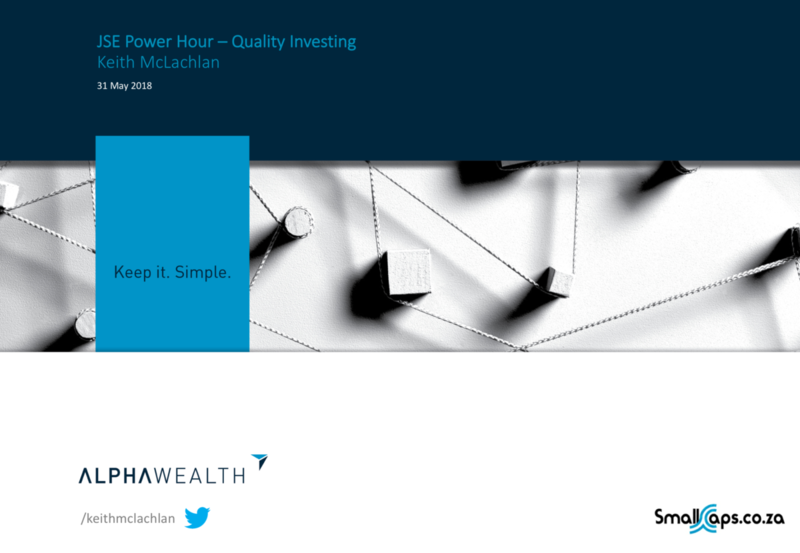 He presents this JSE Power Hour and will focus on his various metrics to define and identify the quality stocks in the market. He will lay out his thinking around quality and how he measures all the various pieces that make up a quality company. Keith will also suggest a few quality small cap stocks for consideration into your portfolio (SNV, MDI & AIP).